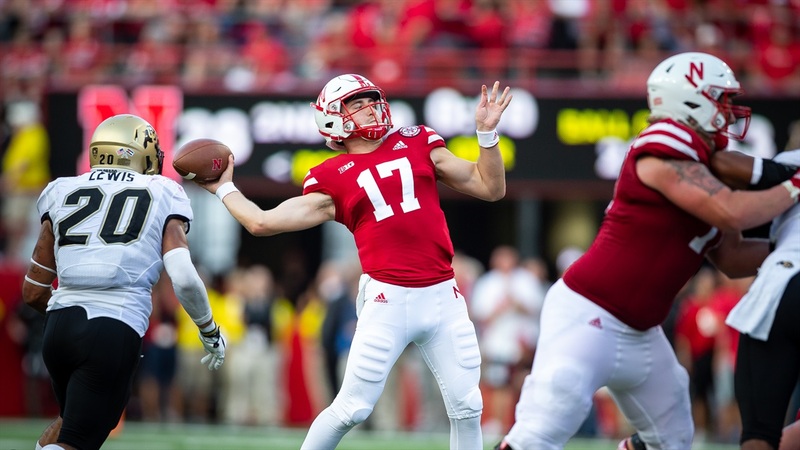 Nebraska players spoke with the media Saturday evening following the Huskers' season opening loss at the hands of the Colorado Buffaloes, 33-28. Senior captains Jerald Foster, Mick Stoltenberg and Luke Gifford all took questions. Backup quarterback Andrew Bunch also spoke to the media after coming into the game late for the injured Adrian Martinez. How would you asses the offensive performance during the first three quarters? What did you say to Andrew [Bunch] before the last drive? How satisfied are you with where the offensive line is at? What did you think about Adrian Martinez’s performance during the first three quarters? What allowed the team to bounce back from being down 14-0? How was this loss was different from past losses? How would you describe the direction the team is heading? What went wrong on the fourth down plays? What were your emotions getting in the game? "It felt good. I was excited to get in. At whatever point in the game that I got in, I knew at some point I was going to get some time, so I was excited." How did you feel after the game? "I wish we could've gotten the ball in the end zone on that last play. That's really mostly what I'm thinking about. The team's going to have a short memory about it and get ready to work next week." Can you take us through the last play? "We had JD (Spielman) and (Stanley Morgan Jr.), who are obviously two of our biggest playmakers, and trying to get them the ball in the end zone for the last play. (Morgan Jr.) has been pretty good at getting jump balls. I tried to get it up to him and he ended up not being able to come down with it." How do you think you'll move forward? "I'm just going to treat it the same way I've always have. I've always tried to prepare like I'm the starter, regardless of the position I'm in. I'm going to tackle Monday the same way I always do." How would you assess the offense moving the ball? "I think the offense, at some times, did really well moving the ball fast and I think we can go even faster. But, for the first game, I didn't think it was bad. I think we moved the ball pretty well and had a lot of yards on offense. We were able to move it pretty quickly when we wanted to." How do you keep prepared at all times? "I just tried to look at every play and decide what I would do if I was in. I get every offensive play that's called, so put myself in the shoes of the quarterback and try to play as if I'm there." What did it feel like to come out attacking? How did it feel getting seven sacks as a defense? How do you think the defense held up against the run while keeping pressure? What did you think of Steven Montez taking all those hits and still delivering the game-winning throw? Have you ever pursued a quarterback like that since you've been here? What changed between a losing locker room last year and what the locker room was like today? How do you find a balance between anger that you lost and finding resolve? What was your message as a captain to the team? "I told the guys that I've played a decent amount of football since I've been here and I thought we fought really hard. Clearly we made a lot of mistakes and shot ourselves in the foot but kind of the main thing was, 'Hey, take the night but when we come back Monday, we have to prepare hard.' I thought we prepared well this week, definitely not as crisp as it could have been obviously with what happened today but man, we just have to keep working. We have to make sure guys are confident in their abilities and I genuinely think they should be. I thought they played hard. Yeah, it's putting an arm around the guys that are feeling down right now because there are a few of them. It's definitely that and it's making sure we don't let this hang over, for sure." Has this defense ever gotten after a quarterback like they did tonight? "I don't think so. I guess I think back to when I was a younger player and I wasn't really playing as much with some of those NFL guys. They really got after it so it was awesome to kind of see our D-line and our backers go after the quarterback like that. I think we ended up with seven sacks, which is a great number. I think we had 14 last season or something like that the whole season. That's there and we can build on that. That's like I said, we clearly made a lot of mistakes and have a lot to fix but that's one thing we can build on and be confident in is our ability to make plays."